Through a partnership with Hallmark, Amazon is now giving consumers the ability to purchase a live, full-size Christmas tree on its site. 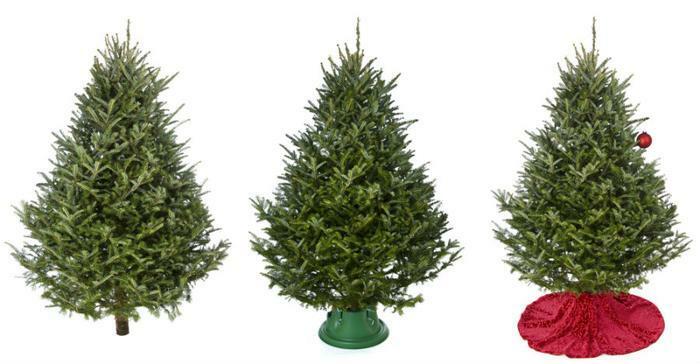 The online retailer is selling a variety of evergreen tree options ranging in size between 6 feet and 7 feet. Once ordered, consumers can expect to receive their freshly cut tree within 4 to 7 days. The tree will arrive in a box on a pre-selected delivery date. "This is our first entry into fresh-cut trees," Ann Ramsey, Hallmark licensing manager for Hallmark Flowers, told the Kansas City Business Journal. "When consumers think about holidays, they think about Hallmark, so Christmas trees are a perfect extension of the Hallmark brand." The trees cost between $99 to $110 and, like millions of other items on Amazon this holiday season, will be shipped for free. Last year, the company offered smaller, three-foot live trees. “Given the popularity among customers, we increased the assortment,” the company told Today. Available trees include two types of Spruce trees, a Fraser Fir tree, and a Balsam Fir tree. Amazon is also selling holiday plants and wreaths for around $25 to $50. This year’s live trees will start shipping on Wednesday, November 21. Each tree will come in a box packed with a biodegradable tree removal bag and tree preservative. “Bringing this time honored tradition right to your front door is amazing,” Hallmark said in a statement. “We're making it easier than ever to experience a fresh-cut Christmas tree in homes all across the country." The great Christmas tree shortage -- fact or fiction?